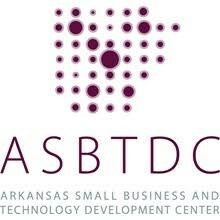 The Arkansas Tech Small Business and Technology Development Center presents “QuickBooks Desktop Basics & Beyond” from 8:30 a.m. to 4:30 p.m. on July 25 at Arkansas Tech University in Russellville. This interactive workshop is for those using or planning to use QuickBooks Desktop (Pro, Premier, or Enterprise) software. Topics build from navigation and company set up to reconciling accounts, handling revenue, accounts receivable, accounts payable, bank feeds, inventory, customizing reports and more. A computer and a take-home workbook are provided. Cost to attend is $130. Seating is limited with registration required no later than July 24 at 479-356-2067 or asbtdc.org/russellville-events. You've successfully shared QuickBooks Desktop Basics & Beyond (Hands on). An error occurred while sharing QuickBooks Desktop Basics & Beyond (Hands on). Please try again.